It’s not every day you can scuba dive a Cold War-era ship. But in Key West, the possibilities are endless. 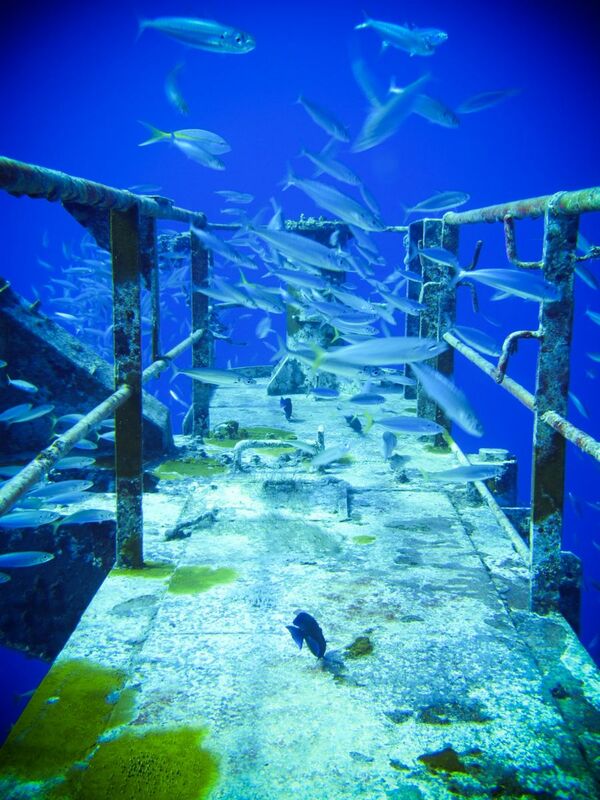 The island’s clear waters and abundant marine life make for a popular diving destination. Aside from being home to one of the largest natural coral reefs on the planet, it also has shipwrecks – both real and artificial – to explore. 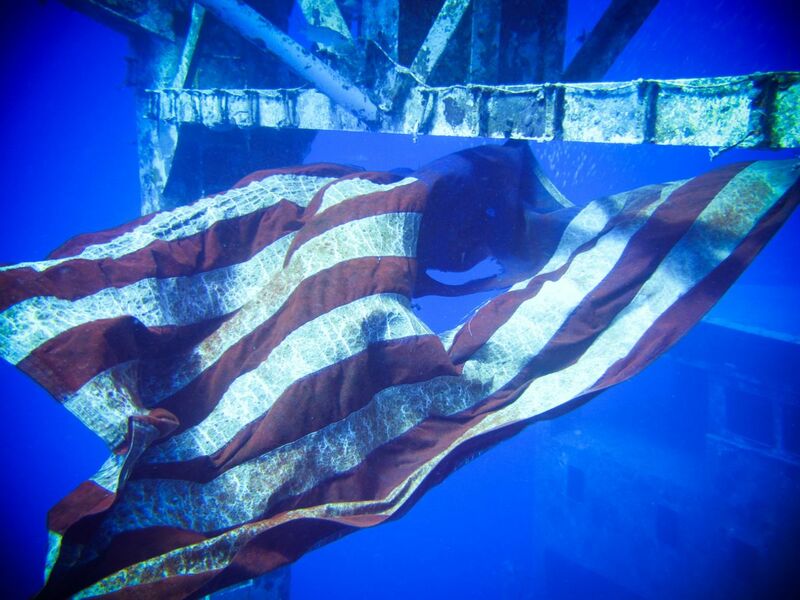 Its prized artificial reef grows from the USNS Vandenberg, a missile tracking ship built during WWII. 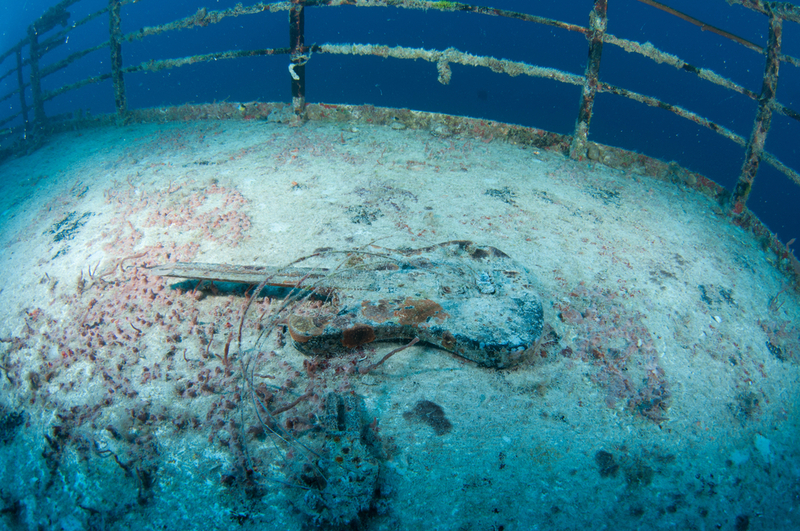 It was intentionally sunk seven miles off the coast of Key West in 2009. The 523-foot-long Vandenberg was built in 1943 and acquired by the US Navy the following year. It was used for primarily cargo transportation purposes. During the Cold War, the ship was used by the US Air Force as a designated missile range instrumentation ship, tracking and analyzing ballistic missile test flights and spacecrafts in the Atlantic and Pacific oceans. Today, the massive vessel rests on the seafloor 150 feet underwater. It stands 10 stories high and is the length of two football fields. Algae and sea life have already staked their claim on the ship, and future generations will likely see the ship blooming with sponges and diverse coral species. The ship is said to be the second-largest vessel to be intentionally sunk for the purposes of diving and helps to ease human traffic on surrounding reefs. For a more in-depth look of the ship and video of its sinking, check out Sinking the Vandenberg on Fla-Keys.org. Finally, how to dive the wreck. At a depth of 150 feet, exploring the Vandenberg is for experienced divers. The boat trip to the site takes roughly 45 minutes, and conditions can vary. Currents can be strong and visibility murky, though clear, crystal-blue conditions are also a possibility. We recommend booking a guide with Lost Reef Adventures. You can find their booth at 261 Margaret St., Key West, or give them a call at (305) 296-9737. For a comprehensive list, see our Best Scuba Dive Options in Key West. Finally, if you’re planning a trip to the Conch Republic, consider staying with us at 24 North Hotel! Free shuttle service and onsite amenities like Starbucks make for a hassle-free stay. Relax by the pool or quickly arrive to Old Town to explore all the fun of Duval Street. See our special offers here.